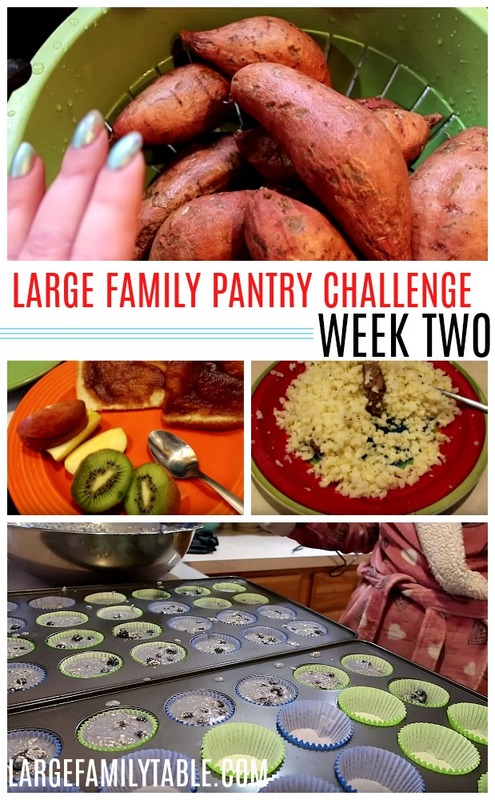 Week two of our large family pantry challenge was *challenging*, to say the least! The pantry challenge itself went well, but life got in our way one more than one occasion. I’m not complaining though. We pulled together and made the best of the week as you’ll see below. 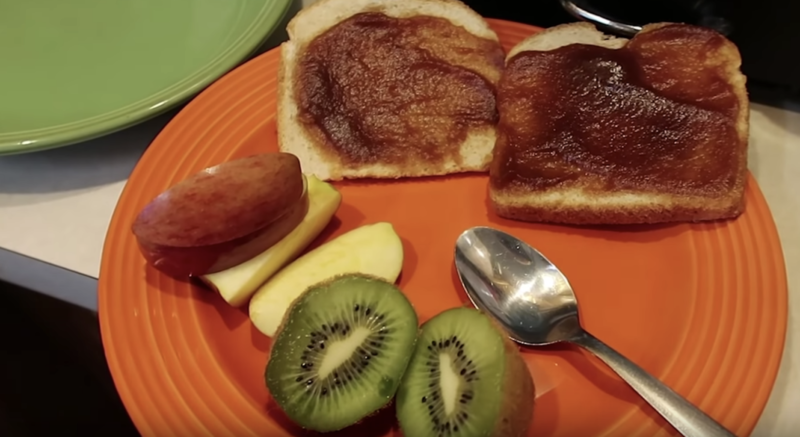 For lunch, on Tuesday we had apple butter bread and sliced apples. Other ends of the spectrum Travis grilled same steaks from the pasture-raised cow we bought the end of last summer. The kids got some steak bites and I ate steak bites over cauliflower rice. For dinner, on Tuesday night I batch cooked 4 pans of Chicken Bacon Mozzarella. 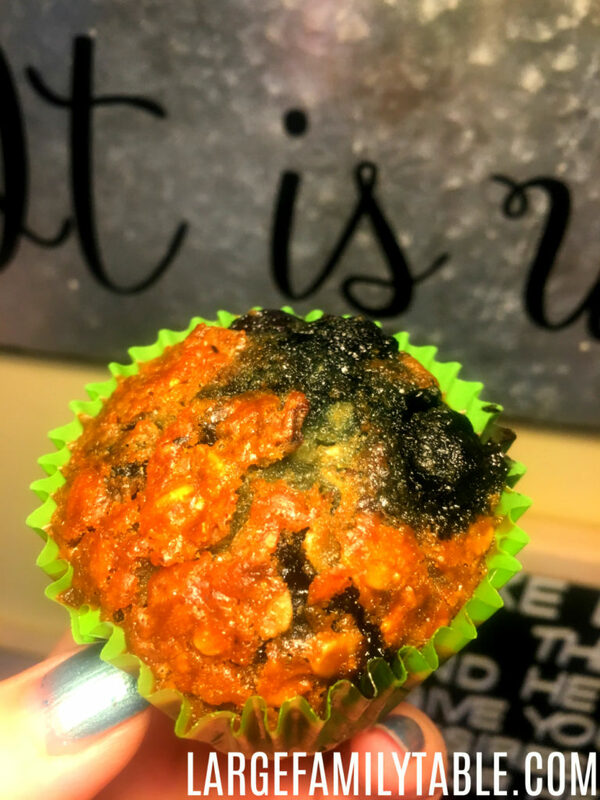 It was an easy low carb bake pulling together with ingredients I had on hand. I only had one cup of sour cream available and needed 4 cups. I improvised and used 3 cups of ranch dressing and let me tell ya, it was great! One pan of the low carb Chicken Bacon Mozzarella Bake was for dinner Tuesday night. I baked the 2nd pan so the family could easily have it the next day (my one dedicated work day). I labeled and put the other two pans in the freezer for upcoming easy freezer meals. On Wednesday morning, even though it was my one weekly work day, I woke up and felt like baking (does that ever happen to you too?). I looked through the pantry and found most of what was needed to do some batch cooking oatmeal blueberry muffins. We made 48 muffins in my two super mega 24 muffin baking pans. And then the saddest thing happened that should never happen in the middle of a pantry challenge, or life in general. My husband took the kids out to piano, errands, and to run into Walmart. He had 7 of the 8 kids with him. Six of the 7 kids started throwing up in the Walmart parking lot! Poor dad duty, sigh. Meanwhile, at home, I was working and being super productive. I just got off a conference call when I started feeling sick as well. When my husband got home I walked out to check on him and the kids to find them hosing out the van. Thank goodness for vinyl flooring and no van carpet! We proceeded to have a 24 hour stomach bug. We haven’t had a stomach bug in over two years. Even though the worst was over within 24 hours we were really wiped out for two days or so physically. By Friday the kids were requesting everything from sweet potatoes to deviled eggs. I put sweet potatoes in the slow cooker (4 hours on low) and boiled up two dozen eggs. Saturday I didn’t film much of our pantry challenge and honestly can’t remember now what we ate. We took the day to do a few hours of deep house cleaning to try to pull our lives back together after being sick. At some point during the day, my husband brought the mail home and I got my over 100k YouTube subscriber awards – woot! We discussed going out to Dairy Queen for Blizzards for our little YouTube celebration but opted to send Trav to pick up a few pizzas and ice cream at Walmart instead for our Saturday night treat. We could eat pizzas and ice cream from Walmart for less than what Blizzards for all ten of us would have cost. Saturday night bedtime came pretty quick and we decided to be not fun parents and hold off on the ice cream until after church the next day. It would’ve been nice to have gone to church on Sunday and come home to our YouTube celebration ice cream par-tay. Instead however our new to us van broke down on the way home. Our oldest son had to come to save us. He took me and a few of the kids back home in his little car. Then I had to come back out in our 7 passenger vehicle to rescue my husband and the rest of the kids (#largefamilyproblems, ha!). Needless to say, getting home from church was quite the workout! When we did get home we STARTED with our YouTube celebration ice cream party and opened our YouTube silver play button – yay! You’ll see soon in week three of the pantry challenge we get most of the freezers deeply cleaned out and find lots of room in the pantry. Stay tuned for more on our pantry challenge! Also, things worked out with our van. We’ve put over 20K miles on it in less than a year. It turns out it needed a new alternator. Through this break down we found a local garage that works on RVs and so, in turn, they can work on our mega large family van, too! Travis loves to work on vehicles but based have the shop space or lift to work on a vehicle the size of our van. 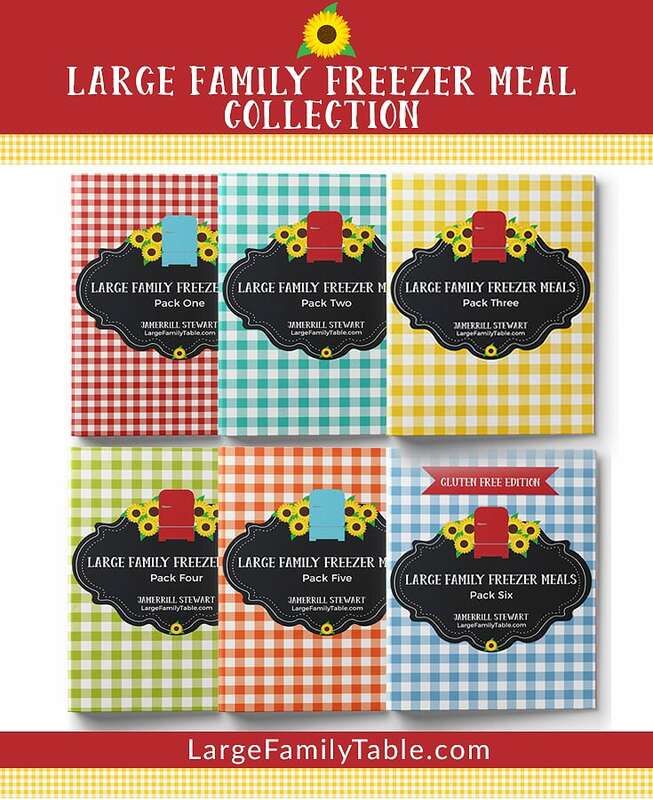 LARGE FAMILY COOKING FAVORITE THINGS GIVEAWAY!! !